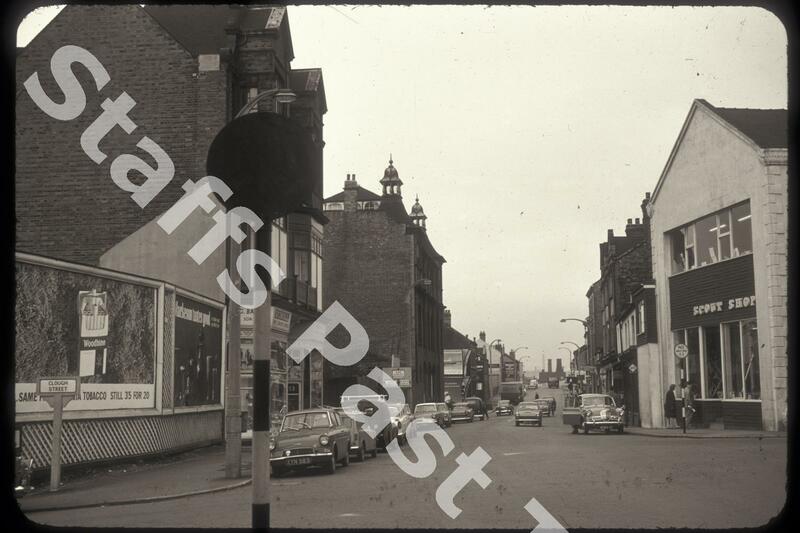 Description:This was the view from the corner of Clough Street looking north along Marsh Street South. The Scout Shop is on the corner of Brunswick Street. The building was previously a Methodist Chapel. 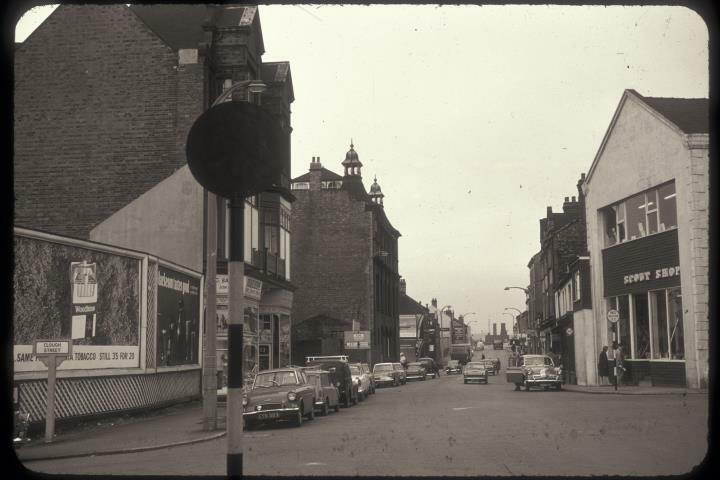 On the left at the junction with Trinity Street is the Telephone Building, the former Hanley telephone exchange. The 19th Century shops between this and Clough Street have been replaced by the modern telecommunications building. Marsh Street has become a one way street. Beyond the Trinity Street junction most of the 19th century buildings along Marsh Street have been cleared. In the distance are some of the ovens of the New Hall Pottery.